The FLIR SC4000 is a high-peed, “Infrared” camera, essential in any kind of security or law-enforcement department, where officials require portable, thermal imaging devices to capture snapshots of “quick actions taking place in the darkness of night.” If one could just go by the looks, the rugged design and the ability to withstand any climatic condition sets these very efficient cameras apart from the balance of more basic thermal imagers. These amazing devices come with hand-straps for use with either right or left hand. The professional version includes an SD-card slot to enable the recording of both images and video shoots, which can be used as evidence later. The USB2 connectivity facilitates super-fast transfer of images from the professional model to a personal computer. Powered by just four AA batteries, with amazing ability to capture the finest details of a scene in any hour of the day while remaining hidden from the public eye. As these cameras provide both high-speed and high-resolution, it becomes easy for law enforcement officials to capture clear “stills or video images” of crime scenes. 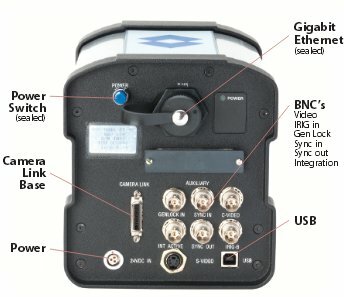 These cameras also feature both digital and analog outputs, and support a wide variety of lenses, wavebands, and detector resolutions. Features such as fast frame rates and settings that allow for adjusting integration times help enable you to capture action scenes in rapidly changing temperatures. Standby Power Mode: Once the camera is turned on, it can remain on standby with a single press on the power button, and toggles back to “ON” mode with another click! The battery life on standby mode is about 120 hours. Recording feature on the PRO version: The RECORD button is used to record a single frame of data, which is saved on the SD-card. If the RECORD button is pressed for more than 2 seconds, the video recording starts and continues till the button is released. Zoom Function: When the ZOOM button is pressed, the device toggles between 2x zoom and normal view modes. During this operation, the viewfinder displays the zoom icon. Brightness Feature: If the BRIGHTNESS button is pressed, the display brightness increments to next higher level of brightness. Shuttered eyepiece: Helps to keep the camera user hidden from the viewfinder. It helps covert operations. The extremely light and compact design of the camera, coupled with its with its superior performance capabilities, offers a deal that no serious camera user can refute. The high-speed (HS) series of FLIR cameras contain a valuable set of tools to aid covert operations. The capability “to see without being seen, in all weather conditions, in the darkest of nights” makes the FLIR SC4000 a formidable companion for all types of law-enforcement personnel. Please note that many infrared devices like this are export controlled, so in many cases these are for sale in the USA only unless you have an export license. 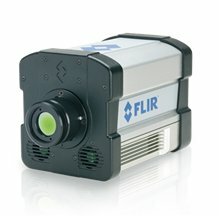 For more FLIR IR products click here.